How to Get Paid for Youtube Video Views? YouTube, the largest video repository and second largest search engine is also one of the most popular platforms to earn money. 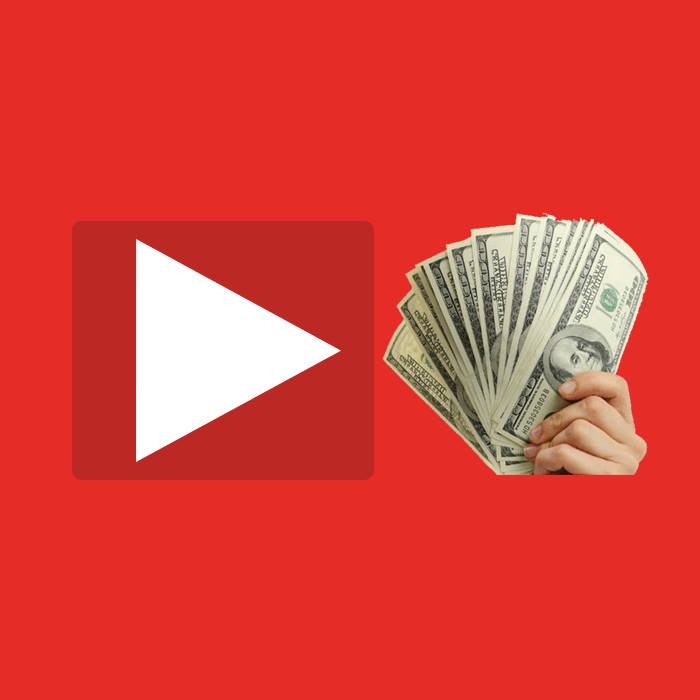 One can get paid for the YouTube video views, and many users are making a lot of money out of it. However, to reach that level, you got to qualify for many stages first. This is the first thing to register for in order to allow your videos to get monetized. Also, in the long-run it’s the primary criteria to fulfill and become partner with the network. Now, to do that you must follow some measures i.e. to post at least one video, likewise few more guidelines are to be accomplished such as no copyrights issue as YouTube would track it down in case its not up to the mark. Click here for more details. YouTube can easily disable your account for monetization. The decision can be so due to various guidelines they follow regarding the content. You video has to meet the requirements or else it can be rejected or permanently barred from monetization. You Google AdSense should be under the same name as YouTube account to avoid any technical policy from violation. Initially, you will get CPC (cost per click) ads. You get paid for each click minus the share of Google and YouTube. Mostly, these are pop-up ads at the bottom. Create your way and be an expert of your field. Concentrate on one aspect and target a specific interest group and build your network on that. Doing so many things at once won’t let you find quality. Hence, focus on a particular topic, which will then turn into your own niche. Expand your reach and engage as many viewers. For that, create more videos, post more often; get more views, which ultimately will lead to more engagement. More viewers will make you eligible to get paid for your content, it’s the most crucial and essential factor to consider. YouTube partner networks are basically the middlemen. You must join their multi-channel platform, so that they can help you monetize your channel. This will enable you to gain more views than you could cater on our own. In return, they will keep their share when you make money out of it. Do not just rely upon the partners, you must find a suitable sponsor when you have a decent number of followers. There are many such brands which will pay willingly for a product placement or mention in the video. You can get paid for it a lot more than you think. Few digital networks are designed to support and assist artists or start-ups; Patreon is one such network that will help you find the right path. It will assist you in commercializing your content and will make sure you get paid for it. Initially it would help you in creating your presence in your respective field. Affiliated marketing simply means to sell someone else’s product by creating designs for the third party. For example Amazon offers an affiliated program, which allows you to take any product and make your niche in selling them. Here content creation is very important as it’s a competitive market. Learn before you feel ready to go in. This one is also an indirect method of selling. For example twitch.tv is basically designed to stream video games but it can also be used to stream other things as well. When you reach a certain level of followers or viewers, Twitch enables you to offer subscriptions. You will get benefits of the getting more viewers and in exchange it will cut its share out of the profit. You will not only gain money rather will help you grow your online existence.